Biosecurity NZ have found a Queensland fruit fly in one of its surveillance traps in Devonport on February 14th. Queensland fruit flies spoil many horticultural crops, and were last spotted and eradicated in Auckland in 2015. Devonport has been issued with a Controlled Area Notice (CAN), which effectively restricts the movement of certain fruits and vegetables out of the area. There are two zones, one the wider Devonport area and the other a more defined zone around the trap centred around Kerr and Rattray Street. More information and maps can be found here. Home-grown fruit and vegetable produce cannot be moved out of the wider area (Zone B), whilst NO whole fruit or vegetables (except leafy and root vegetables) can be taken out of Zone A. A record number of ‘birthday suit’ swimmers joined the epic Round North Head Classic on Saturday. 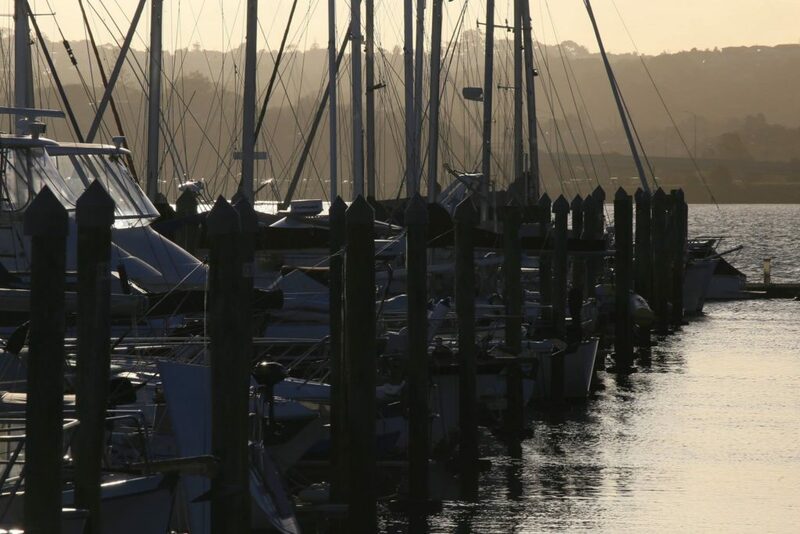 The annual open water swim event, run by Devonport Swim Club, is a firm fixture among peninsula swimmers and open water competitors from around Auckland. At around 9.30am 25 swimmers made their way to a floating IRB anchored just of Windsor Reserve Beach, where they ‘de-togged’ and passed their kit to the crew who stored it in numbered bags. The boat then took off to wait just in front of Cheltenham Beach, ready to meet the swimmers before they swam the last 100 metres and ran to the finish line. In all there were 200 swimmers on the day, most swimming the 2.5km from Windsor Reserve Beach around North Head to Cheltenham Beach. Some chose the alternative, shorter 1.3km course that started from Torpedo Bay. Conditions were near perfect, with the sun shining, a water temperature of just over 18 degrees, and a slight tail wind. The outgoing tide gave all swimmers some extra acceleration, whipping the fastest swimmers home in just over 24 minutes. The event attracts a loyal following, and all enjoy the hot bacon and egg pie and plentiful spot prizes in Balmain Reserve. The club also puts on the annual Cheltenham Swim, which covers 2.4k from Narrow Neck Beach to Cheltenham Beach. March 9th is the date for the next event. What better way to spend a lazy Sunday afternoon than chilling out in Windsor Reserve on a rug, eating ice cream and enjoying the sounds? And all for free. Yay. Well perhaps not the ice cream. But the ambience and music was, at this year’s Devonstock Music Festival. Set by the beautiful Devonport waterfront, the festival was organised by local teenagers to showcase the music of young artists like: SKILAA, Munkhouse, Daffodils, Gretel (and The Handsomes), Masonic Silk and Ben Glandfield. So many talented young musicians got the crowd smiling and bouncing their feet to the beat. Nearly every act attracted a swarm of fans to dance in front of the stage. There were a range of food and craft stalls at this smoke-free and alcohol-free event in Windsor Reserve, so people were able to hover round and enjoy the afternoon, fully sated. A fantastic effort by the organisers, the Devonport Youth Forum and Devonport Peninsula Trust. Special thanks to Devonport-Takapuna Local Board for their support. 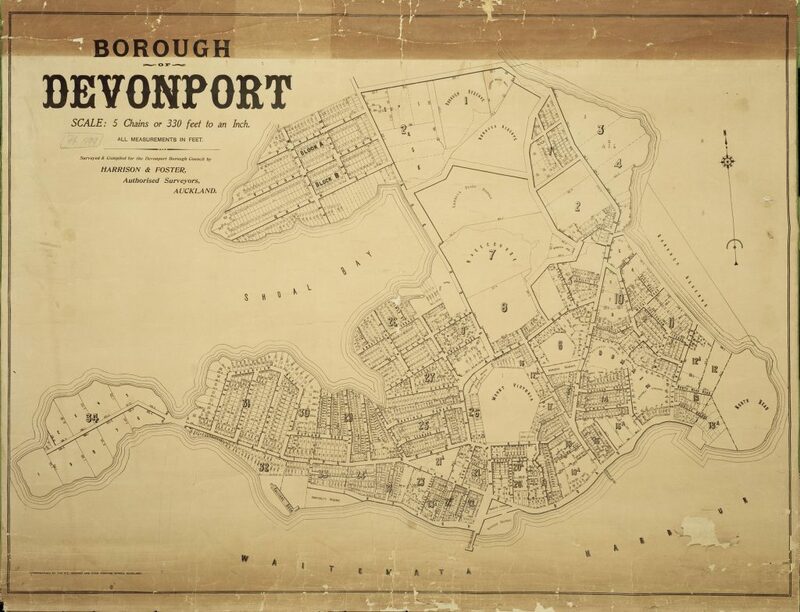 Have you used a service around Devonport recently? If you paid good money for a service, you’d expect to get what you paid for, right? Cleaning houses, cutting hair, home renovations, repairing your car…these are all examples of common services that many households around Devonport regularly use. But what happens if a service doesn’t turn out the way you expected? Don’t worry – you’ve got rights and I’m here to share a little more about what they are. When you hire a service provider to carry out work for you, they must do it to a competent level and with reasonable care. When you’ve told your service provider what work you want them to do and they accept the job, they must make sure you get what you were expecting. It’s always best to agree on a timeframe, but even if you don’t a service provider must complete the work in a reasonable time frame. ‘Reasonable’ is determined by the time it would take a competent person who works in that field to complete the same work. As above, it’s always best to agree on the price before work starts, but even if you don’t a service provider must only charge a reasonable fee. ‘Reasonable’ is determined by what other providers in your area would charge for the same or similar services. If you hire a business or trader to carry out a service that doesn’t meet any of these guarantees, you can ask them to resolve the problem. And don’t worry, even if you don’t have a written contract with the business who provided the services, you’re still covered. They’re obliged to fix their work at no extra cost. If they can’t or won’t, or it isn’t fixed within a reasonable time frame, you can ask someone else to fix it for you then pass the cost onto the original service provider. You can also cancel the contract and obtain a full refund, if the work is substantially unfit for purpose and can’t be easily fixed. If you can’t reach an agreement about your complaint you can still take things further, such as an industry dispute resolution scheme or the Disputes Tribunal. We hope you never have to deal with poor or faulty service – but if you do, find out more about your rights and the Consumer Guarantees Act here. New signs have been spotted on the closed-off retail spaces on Devonport Wharf, announcing who the new tenants will be. Maru Sushi & Don already have two branches in Bombay and Takanini. This will be the first outlet on the North Shore. As well as a large range of sushi, the restaurant will offer hot eat-in meals including Chicken Don, Teriyaki Salmon, Pork Katsu, Chicken Karaage and Seafood Yaki Udon. The other new tenant is Tui Gifts, a new retailer targeting the tourists arriving off the ferries. The new shops are believed to be both launching later next month. A dozen local businesses donated prizes for the the annual Cheltenham Swim, an annual fixture in the calendar of ocean swimmers across the peninsula and from outside Auckland. The 2.1km swim is run by the Devonport Swim Club which operates from the navy pool at HMNZS Philomel on Queen’s Parade. 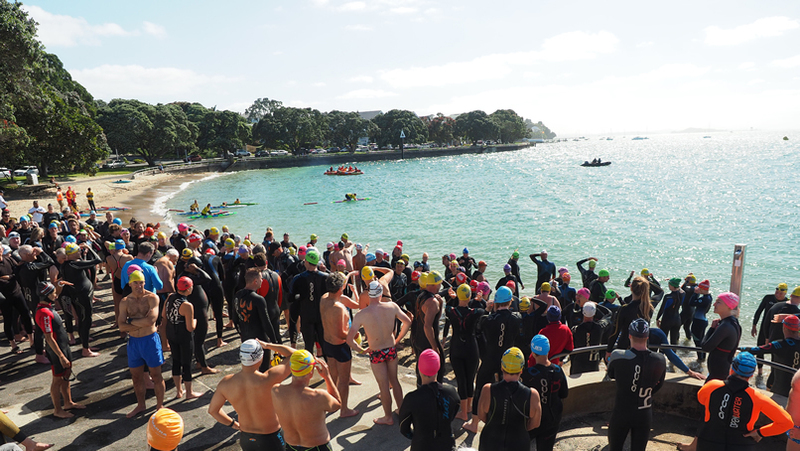 Around 150 swimmers set off on the starter horn at 9.30 am on Saturday morning, 5th May, from Narrow Neck beach. Aided by the current, the quickest swimmers were out of the water and bounding up Balmain Reserve on Cheltenham Beach in less than 22 minutes. 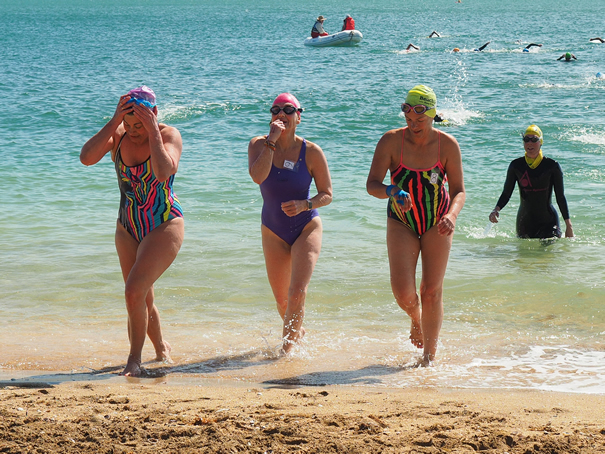 The annual Cheltenham Swim and the Round North Head Classic swim, held in November, have established a reputation over the years as being very well organised, and particularly friendly events, with little of the aggressive jostling often seen at larger ocean swim meets. This is also to do with the mix of entrants, which include many local swimmers out to enjoy a scenic swim around the coast. Sponsors this year included Baked Devonport, Vondel restaurant, Skin Sense, Makoto Japanese restaurant, Cosi fan tutte, The Vic Cinema , 2 degrees mobile, Glengarry Wine, Just Workout Devonport, Riba Fish n Chips, Corelli’s Café, the gift shop Nord and Devonport Hammer Hardware, who also put on a mobile warm shower. Devonport Swim Club had been running at half steam for the past two years while the navy pool had a complete upgrade and the steep bank directly behind it secured. Regular swim squads have only been able to run sporadically over the period as the club has had to rent lanes from Takapuna Primary School and Takapuna Grammar School. Unfortunately, the TGS pool is only swimmable in February and March as it is unheated and exposed to winds. However with the navy pool recently open again, swim squads have filled up quickly. The junior squads were at capacity within a week of the club’s relaunch. 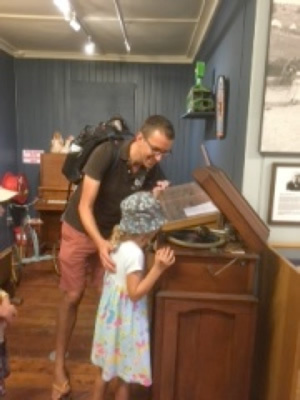 From idyllic Devonport to the trenches of France, take in the wartime stories of Alban, Ernest and Gainor and Gainor’s brother-in-law Jack Parsons at this Takapuna Library exhibition. With war records, notebooks, instruction manuals, sketches and commemorative quilts, three generations of the Jackson families pay tribute to these young servicemen. At Takapuna Library, 9 The Strand. Composite image supplied by the Jackson family. What a day to bring a picnic blanket and relax in the shade while enjoying listening to folk music from around the world. Organised by the Devonport Folk Club, Folk in the Park was a great way to spend a lazy Sunday afternoon with all the family down at Windsor Reserve.